Nestled beneath the tall pines of Ruidoso, Sitzmark Chalet hosts guests from near and far. Stay up late relaxing in our barrel sauna, and wake up to freshly brewed local Pinon coffee and warm muffins. But wait, there's more! Ruidoso is surrounded by enchanting wilderness, beautiful mountains, exciting nightlife, and all the shopping your heart desires. 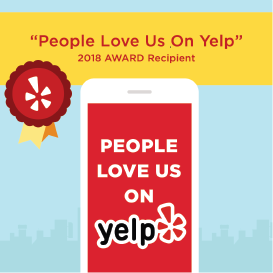 You'll be talking about your stay with us for years to come! all summer, fall hiking, or a spring round of golf. Join us for hot coffee and fresh muffins each morning. sauna in a giant rustic whiskey barrel. 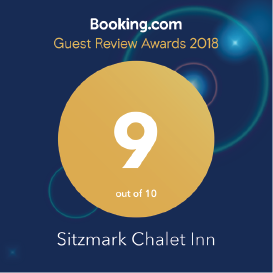 Sitzmark Chalet Inn's vintage character, attention to detail and excellent customer service is a combination hard to find at corporate hotels. Each of our non-smoking, pet free guest rooms feature a handmade pine headboard and El Paso Saddleblanket Company bedspread, private bathroom, as well as a Dohm sound machine, 32" LCD TV with HD cable, air conditioner, microwave oven, coffeepot, refrigerator, in-room phone, and free wifi. Gas grills in the courtyard available for guest use, along with porch swings and picnic tables make for a perfect afternoon or evening of entertainment. Relax in our outdoor whiskey barrel steam sauna after your mountain activities! Every morning from 7:30 to 9:30 a.m. fresh muffins and locally roasted coffee are offered in the foyer. We look forward to being "Your Home Away From Home" during your next visit to south central New Mexico! 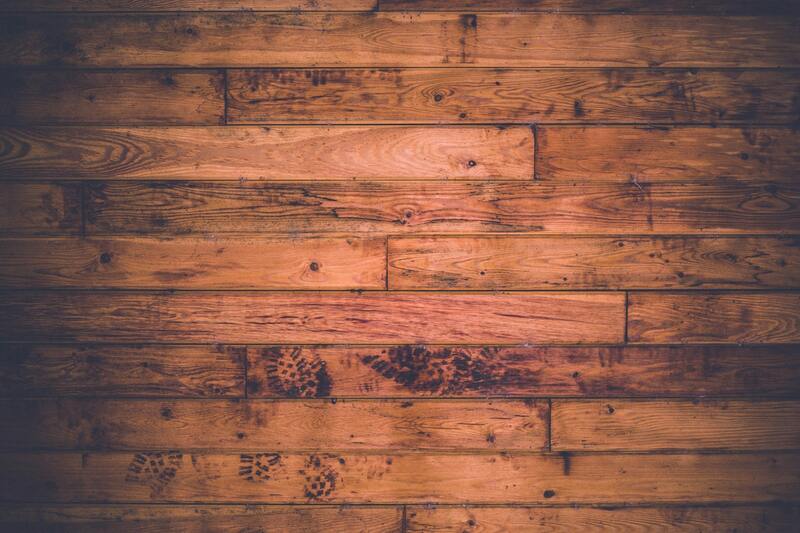 Relax in our rustic outdoor sauna inside a giant whiskey barrel. Enjoy complimentary freshly baked muffins and locally roasted coffee each morning. Rejuvenate and unwind with our all natural product line: Bee Kind Spa Products, available in rooms and for sale! Share your stay with the world via the inn's complimentary high speed internet. Guest rooms feature a 32" flat screen television with HD cable. Looking to recharge? Borrow a book or board game from our lending library . free Disc's for the local Disc Golf Course . After, you can sit outside and grill your favorite foods at our picnic area, complete with grill. Located in the heart of Ruidoso, Sitzmark Chalet is close to hiking and skiing, historical sites and galleries, restaurants and shopping, casinos and horse racing and even night life. 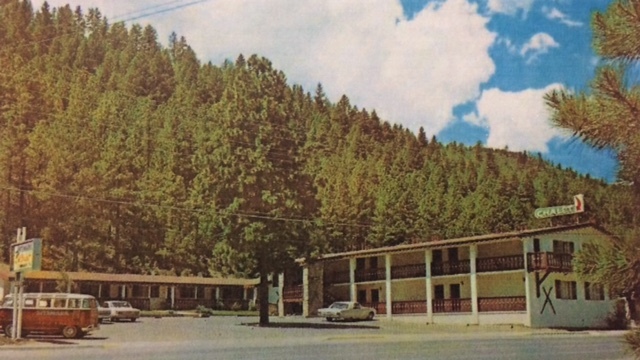 The Sitzmark Chalet Inn is the perfect location to stay while visiting the Ruidoso ski slopes. 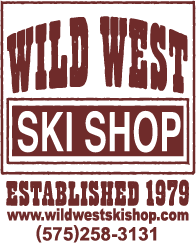 Make reservations for your ski and snow board rentals here.